Stunning, bold splendour that grabs you from the first moment, and never lets go. Amouage‘s new Journey for Men takes you on a tour of the spice markets of Sichuan, armed with a hefty bottle of expensive cognac, as tendrils of incense waft from a nearby Buddhist temple. The fiery bite of a thousand Sichuan Hot Pots envelop you, but so do the dry woods nearby which are shot through with tiny streams of leathery resins. A haze fills the air, a haze of golden amber which cocoons you in warmth as you stumble — drunk on fruited booziness, your mouth on fire from the chili peppers, with incense smoke woven through your hair — into a soft cocoon of tonka creaminess. Journey Man is a brilliant essay on spiced, fiery boldness mixed with oriental opulence. I thought it was truly fantastic, but that opening… what a stunning opening. Base: Tonka Beans, Cypriol, Leather, Ambrox. Journey Man opens on my skin as a milder version of the Sichuan hot pot that made Anthony Bourdain gasp. In Amouage’s kitchen, the stock is made of expensive, aged, neroli cognac, while the accompanying ingredients are incense, dry cypriol, leather, and a touch of amber. It is fiery with a serious bite, but fantastically boozy as well. There is spiced dustiness hovering all around, which is perfectly balanced and countered by a wave of slightly sweetened richness. The intensity, fieriness and incredible boldness of the scent punches you in the solar plexus — and I mean that in the best way possible. Journey’s spiciness seems to far transcend mere chili peppers, though. It feels as though half of a Chinese spice market has been combined in a really potent mix that is made of pure booze. I have absolutely no idea how the various notes coalesced to produced a cognac accord with a vaguely fruited undertone on my skin, but a random guess would be the amber mixed with the neroli and the juniper berries. The latter never carries a pine nuance but, rather, smells fruited, bitter and slightly resinous. Actually, it feels a lot more like pink peppercorn berries than anything from a juniper tree. 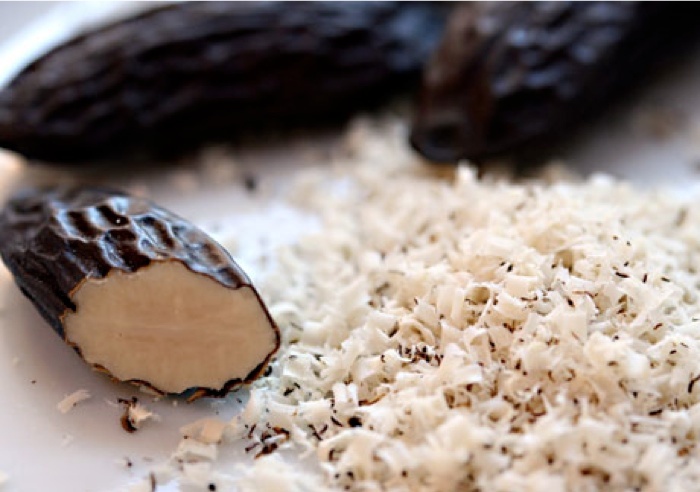 As for the cardamom, it doesn’t have the vaguely sweet nuttiness that it often manifests on my skin. Instead, it feels more like the powdered remains left at the bottom of an old wooden spice drawer. The cypriol (also knows as nagarmotha) is key in all this. 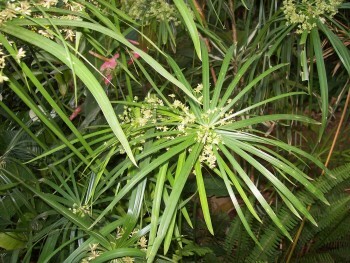 As Fragrantica explains, the plant “is a relative to papyrus. Its smell is woody with earthy and spicy nuances.” Its oil is often used as a base for oud fragrances, which perhaps explains why some people smell the note in a perfume and think that they’re detecting agarwood. Here, the cypriol combines with the cardamom and incense to create an unusual dustiness. It’s not purely like an ancient Buddhist temple filled with incense; it’s not purely like spice dust; and it’s not purely woody dryness, either. It is like some combination of all three of those aspects in one. Perhaps the best way to describe it is as spiced, woody, incense dust. It tries desperately to keep the cognac-like richness in check, but, to my joy, it fails. The fiery, spiced booziness flows over everything in a way that would make the Greek god of wine, Dionysius, and the Roman hedonist, Apicius, proud. My skin tends to amplify sweetness, so the note may not appear so strongly on others, but I really hope it does because it’s intoxicating when combined with the walloping amount of spices. 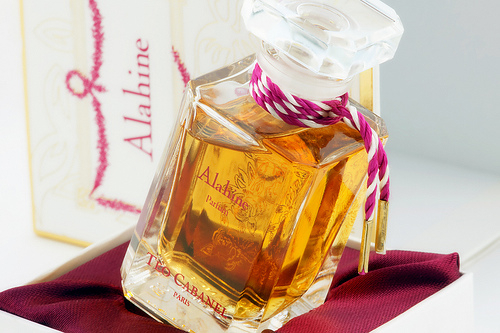 The overall effect resembles the start of one of my favorite fragrances, the opulent Alahine from Téo Cabanel. Journey Man is like a fierier, more piquant, drier and non-floral cousin to my beloved Alahine. There are other differences as well, though. Whereas Alahine has deeply velvety, dark Ta’if roses and ylang-ylang, Journey has cypriol and strong woodiness. Journey’s fruitiness is more of the bitter bigarade and pink peppercorn kind (though it really feels as though Journey has petitgrain as well). And Alahine’s spice market is in Morocco where there are no Sichuan peppers to be found. Journey also has more of a leathered undertone. The differences become greater when you consider the development of the two fragrances as a whole, but they share a very similar opening centered on powerfully spiced booziness with incense and amber. Those of you who know my feelings about Alahine can perhaps understand why Journey Man impacted me so strongly. Journey Man is very intense and potent, especially up close, but it is much airier than you’d expect. Initially, its sillage is excellent, though: using 3 spritzes from my decant which amount to roughly 2 small sprays from an actual bottle, the perfume projects about 4 inches above my skin. Yet, Journey doesn’t feel heavy or dense. It has strong weightlessness, to paraphrase a description that one of my readers likes to use for Bertrand Duchaufour creations. Actually, Journey Man feels like it could very well be a fragrance from Duchaufour. It initially has the same dusty quality as his stunning Trayee for Neela Vermeire, not to mention a similar spice, incense, woody vibe. As with Alahine, here, too, there are differences. Journey Man is strongly boozy, while Trayee is not. Journey is more peppered, and significantly more fiery on my skin than Trayee; the incense feels more diffused throughout Journey and less individually distinct; there is no oud in Journey, though the cypriol tries to step in; and there is more golden warmth at the start. The cardamom is much less noticeable in Journey than in Trayee, especially as any sort of sweet nuttiness, and there is absolutely none of the true Mysore sandalwood that makes Trayee one of my favorite fragrances. I suppose if Trayee and Alahine had a torrid three-way love affair with some Sichuan chili peppers, their love child might be Journey Man. Speaking of those peppers, they have a strange effect on me. Something about the scent tickles the nose and the back of my throat much like the capsaicin molecules in a real chili can do. At least, I think the tickle in Journey is from the Sichuan peppers. It could be from something else, since Journey Man also has an accompanying streak of raspiness and parched dryness that lasts for hours. I am sensitive to aromachemicals, so perhaps it stems from the cypriol, the Ambrox, or another molecule. In fact, I could very well be mixing two separate issues — the Sichuan capsaicin and the raspy woodiness — into one. Whatever the source of the Hot Pot bite, I happen to thoroughly enjoy it as an interesting counterbalance to all the booziness, but I do think that some people may struggle with its fiery kick. Another possible difficulty may be those flickers of desiccated woody dryness and raspiness that push Journey Man just to the edge of the unisex-masculine border. For me, the heavy layer of booziness and the ambered warmth counter these two rather separate issues, but it’s really going to come down to individual skin chemistry and personal tastes. People who like softer, richer, or cozier Orientals may struggle with these aspects of Journey, but those who love drier, woodier, and heavily spiced fragrances should have no problem. Journey Man continues to shift. The fruited undercurrent grows richer and stronger after 30 minutes. It is perfectly balanced between sweetness and bitterness, perhaps because the neroli often comes across a lot more like petitgrain (the woody twigs from the citrus tree) on my skin than the actual fruit. In contrast, the juniper note continues to smell like a spiced, bright, fresh pink peppercorn berries with a fruited character. 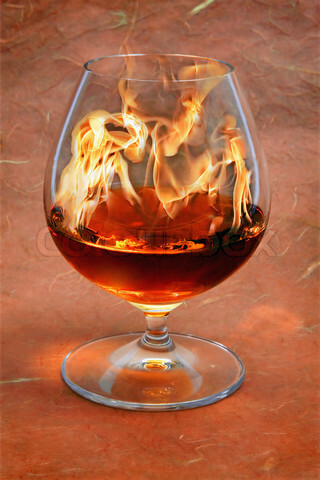 Both of them are really quite muted, and are subsumed into the cognac as if orange peels, bitter berries and bigarade petitgrain had been left to macerate in the alcohol. On my skin, Journey Man isn’t really “fruity,” let alone in any strong, distinct way. It’s more like a subtle suggestion of rich orange and woody citrus twigs. By the end of the first hour, Journey Man is a stunningly intense, fiery, boozy, lightly “fruited” spice bomb with incense, dry woodiness, and ambered warmth over a balsamic, resinous, leathery base. The perfume feels richer, deeper, and smokier than it did at the start. However, the very first, tiny streaks of tonka appear in the base, promising changes up ahead. Up top, the dustiness has receded by a hair, probably thanks to the growing presence of the Ambrox, though the occasional raspiness and the capsaicin bite continue. The spice mix also seems to change a little, as something creates the impression of saffron. Not buttery or sweet saffron, but the more fiery, red, nutty kind. It is probably an indirect result of the Sichuan peppers merging with the cardamom. None of these smaller elements can detract attention away from Journey’s main duo: the spectacularly fiery, spice-booze accord. Honestly, I wonder why no-one has ever thought to combine chili peppers with slightly fruity cognac and incense before. It’s rather brilliant, if you ask me, especially with the balsamic leatheriness of the base. I also find it very evocative. 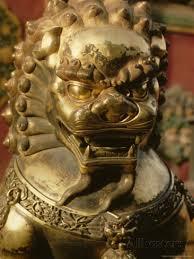 I keep imagining the red dragons of classical Chinese art, or the lion (Foo dogs?) sculptures that guard the Forbidden City — only, here, they’re drenched in expensive French cognac. I really hope that other people’s skin chemistry will highlight or amplify the booziness in the same way, because it’s a superb counterbalance to all of Journey’s drier, woodier, and spicier elements. 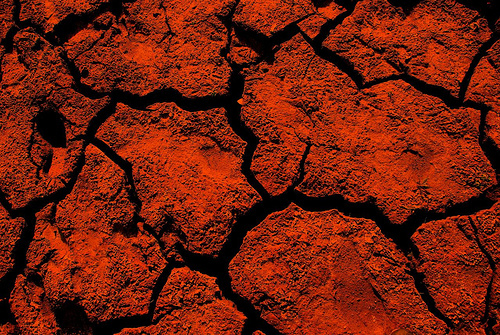 Eventually, the cognac takes a step back and Journey Man turns much drier. It starts roughly 90 minutes in, when the perfume turns woodier, as the cypriol grows stronger. The spices feel a little more hazy and dusty, though the suggestion of saffron remains. The notes start to overlap, losing some of their distinctive edge, but also flow more seamlessly into each other. 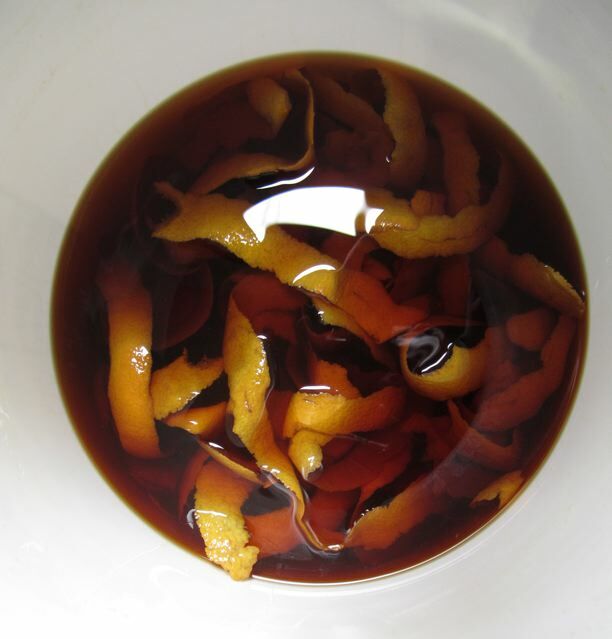 The amber is lightly flecked with tonka, while the orange fruits lose a touch of their sweetness and turn more bitter. The subtle dustiness returns, though it may be from the growing presence of the incense more than from the spices at this point. And the whole thing is much softer in sillage. Journey Man now hovers 2 inches above the skin, though it is still very strong when sniffed up close. To an extent, all of these changes are ones of degree, but Journey shifts fundamentally at the start of the 3rd hour when the perfume turns creamy. The tonka fully emerges from the base, melts into the boozy-incense-spice mix, and softens its edges, while also pushing back against the dryness. Journey feels less fiery and dusty now. Its spiciness has a creaminess underlying it which only grows stronger with every passing hour. Everything from the leathered undertone to the woody dryness now feels coated by a smooth layer of tonka. 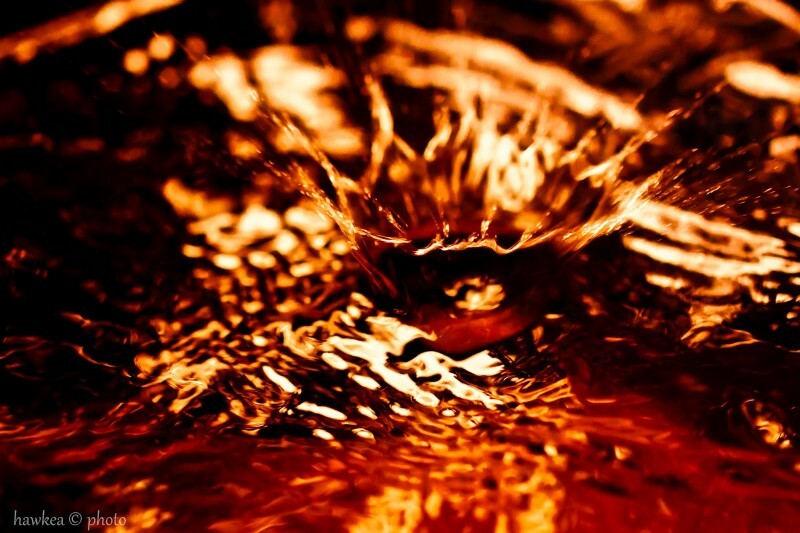 At the same time, the amber grows simultaneously softer and more prominent. It doesn’t feel like an aromachemical and, in some ways, it doesn’t even feel like “amber” at all. 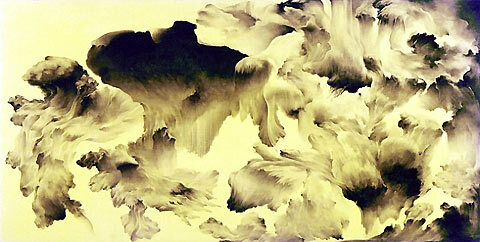 Rather, there is a growing golden hue about Journey Man, a gentler warmth. Together with the tonka, the amber begins to tame Journey’s red dragon. Roughly 4.5 hours in, the perfume turns into a beautifully spiced, creamy amber fragrance with more subtle fieriness and quieter boozy, fruited cognac. Muted swirls of incense smoke are diffused throughout, as is the dry woodiness that no longer feels quite so scratchy. They all sit upon a smoother, gentler resinous base which is only vaguely leathered now, and completely tamed by the creaminess. Journey Man feels bold but soft; rich but polished; fiery but creamy and (almost) tamed. However, it’s also much gauzier and lighter. The perfume’s sillage settles at the start of the 6th hour to hover just above the skin, feeling almost like a skin scent, though Journey was still easy to detect up close for another few hours. 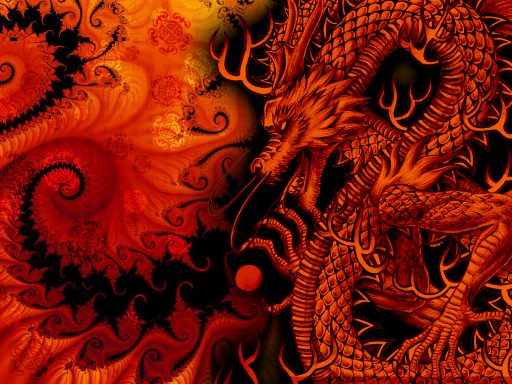 Journey’s fire-breathing dragon finally settles down at the start of the 7th hour. 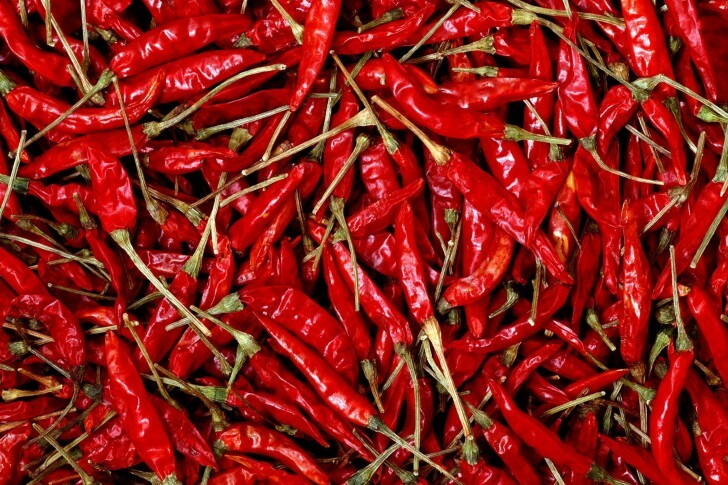 The chili peppers remain, but they are fully coated and anesthetized in a layer of creamy tonka sweetness. In fact, the tonka slowly starts to take over everything. I have to admit, I’m a little regretful about that. I like creaminess, but not as much as I do spiced booziness. Here, the effect is to squash or muffle the incense, dry woodiness, and booziness to a large degree. Ten hours into Journey’s development, the perfume is primarily a woody tonka fragrance dusted with light touches of largely abstract spices and embedded within a soft, golden warmth. 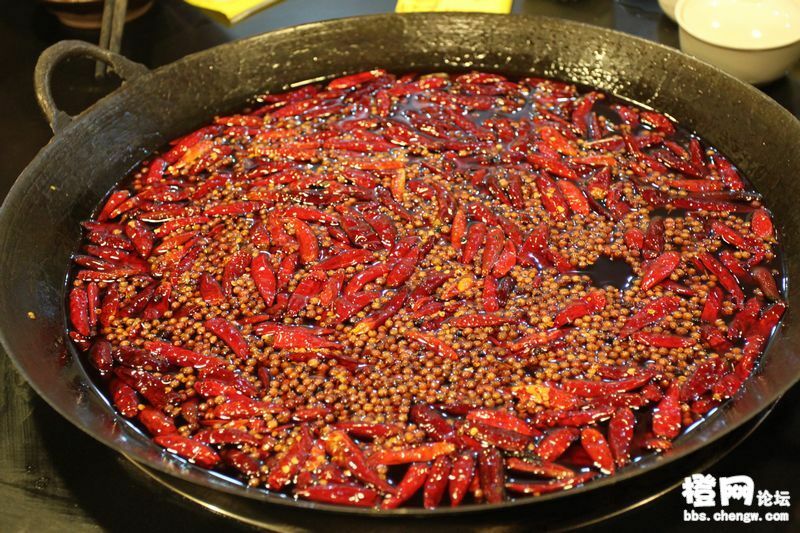 The peppers feel more and more like fruited pink peppercorn berries, with only a mild touch of Sichuan. The cypriol has changed as well, and is now slightly earthy woodiness, more than dry or raspy. For the next few hours, Journey Man devolves more and more into lightly spiced creaminess with a vague, nebulous touch of woodiness. It’s pretty, but I personally find it a little uninteresting. (I think I’m mourning the loss of the boozy cognac.) At the same time, I have to admit that it’s nice not to have the Sichuan bite any more. Journey lasts a very long time on my perfume-consuming skin, and I think 12-plus hours of fieriness would be a little exhausting. In its final moments, Journey is nothing more than a blur of spiced creaminess. All in all, Journey lasted roughly 13.75 hours, with sillage that was generally moderate when taken as an average whole. Not all of Amouage’s fragrances work for me as a personal matter, but they are generally fragrances that I deeply respect for their innovative brilliance, their complexity, and their luxurious character. Journey Man is one that I would absolutely wear myself. With a smile on my face, and a passionate response each and every time to that stunning opening. For me, Journey Man is much more approachable and appealing than some of the men’s line that I have tried, like Fate Man, for example, or the difficult Opus VII. I respect the technical brilliance behind them, but I can’t or wouldn’t wear them. However, I also recognize that Journey’s appeal will come down to personal tastes, not to mention skin chemistry. It always does — but perhaps for Amouage more than for some other perfume houses. I don’t know if a fiery Sichuan Hot Pot made from cognac, incense, occasionally dusty spices, and dry cypriol will be for everyone. As noted above, my skin tends to amplify sweetness and base notes, so I’m not even sure if others will experience that mysterious cognac note that worked so brilliantly with the chili pepper and that so perfectly counterbalanced the woody dryness. I also suspect that for some, particularly women who enjoy softer orientals, both the Sichuan bite and the overall spice mix may be a little much. All I can say is that, if you love spice bomb fragrances with fieriness, woodiness, incense, some dryness, and ambered warmth, you should try Journey Man. If you loved Alahine or Trayee, then you should go out of your way to try Journey. 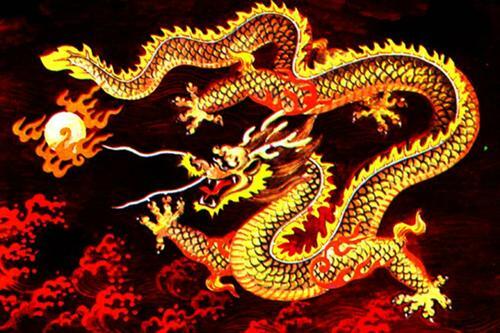 I think it’s a dragon worthy of Imperial China, and its bold splendour is stunning. Disclosure: My sample of Journey Man was courtesy of Christopher Chong and Amouage. That did not influence this review, I do not do paid reviews, and my opinions are my own. Cost & Availability: Journey for Men is an eau de parfum that should be available in June in most parts of the world. I don’t know its price, but it will be offered in a 50 ml bottle as well as 100 ml. 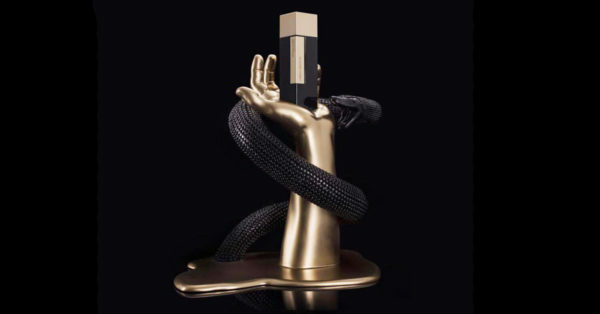 All the usual Amouage retailers should carry the fragrance, including Luckyscent, Osswald, MinNewYork, Parfums Raffy, First in Fragrance, Jovoy, Harrods, and the like. I will try to remember to update this section at that time. Samples: Surrender to Chance just received Journey Man in store on June 16th. Samples start at $3.99 for a 1/2 ml vial.